(Reuters) - Everton manager Ronald Koeman is not losing sleep over Romelu Lukaku's recent goal drought and backed the striker to rediscover his scoring touch soon. The Belgian international, who struck 43 Premier League goals for Everton, has not opened his account so far this season and last scored for the club in March during an FA Cup victory over Chelsea. Koeman believes the striker spurned chances in the club's 2-1 league win at West Bromwich Albion on Saturday. Lukaku also couldn't find the back of the net in Tuesday's 4-0 rout of lower division side Yeovil Town. "It's always part of the job if strikers are not scoring, then the manager gets questions about the striker. I don't look backwards about Lukaku and what he did last season because that's not my problem," Koeman told British media. "My problem is now and he didn't score against West Brom. He had one big chance. He had some good chances last Tuesday, but I'm not worried about that. Maybe if he doesn't score in the next then ask me that question then." The 53-year-old Dutchman added that Lukaku, who withdrew his request for a transfer last week and committed his future to Everton, will need better service to make an impact. "Strikers need always support to get crosses, to get passes and that's all about the rest of the team. 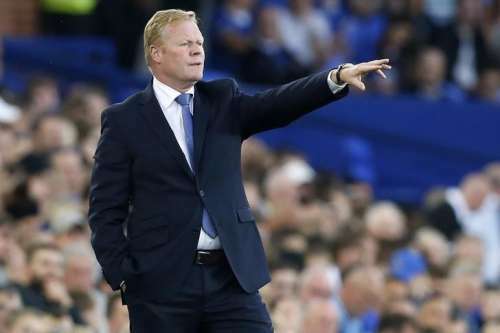 Sometimes they can create a big chance for themselves," Koeman added. "He's that player that needs support but also he can score by himself because he has that quality." Everton, who have four points from their opening two league games this season, host Stoke City on Saturday.